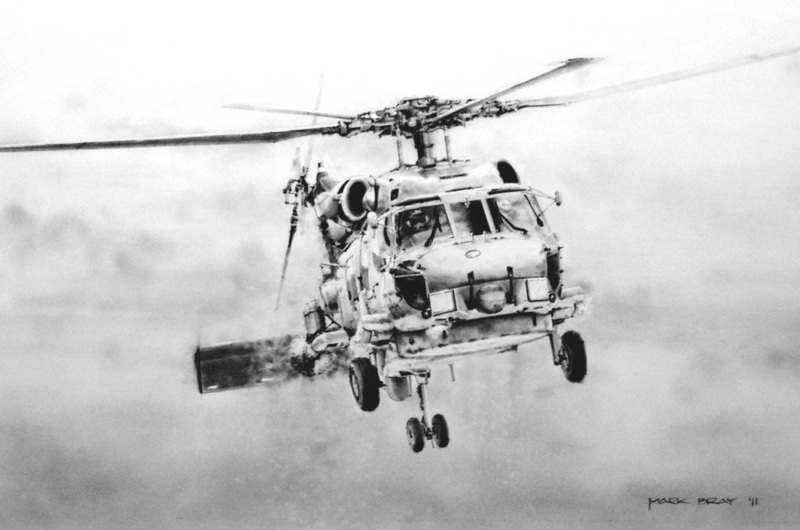 I’ve always been fascinated with rotorcraft and their ability to move from horizontal flight to a seemingly motionless hover … this drawing was done after watching a day of training at NAS North Island San Diego, CA. – these Seahawks make the air around them come to life as they make their slow approach to land. American Society of Aviation Artists - 2011 International Aerospace Art Exhibition - Founders Award, Silver Ribbon Unjuried Artists Competition.